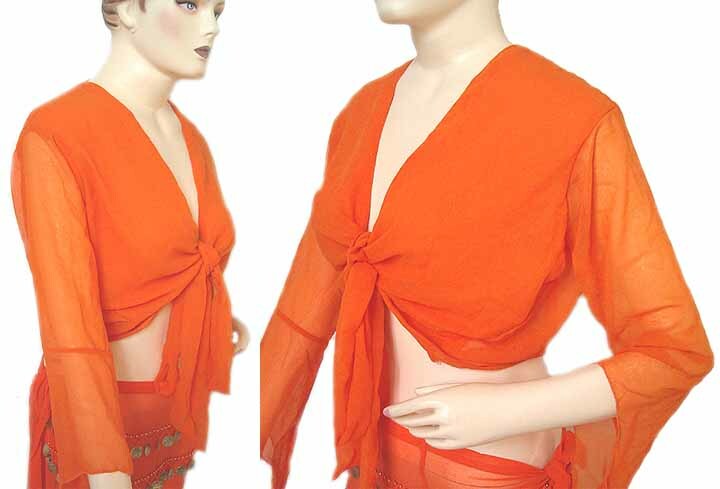 Beautiful Belly Dance blouse, choli, top made with fine polyster fabric. This top is free size comfortable to wear and one size fits all. Wear this top with any sari, skirt and jeans or a belly dance outfit.